For the student, GEAR UP “Dreamcatcher” is about preparing for postsecondary education and career success. The Seminole State College GEAR UP Project includes providing services in support of students that includes services to schools, teachers, parents, families and other highly involved stakeholders with the eventual goal of student success. 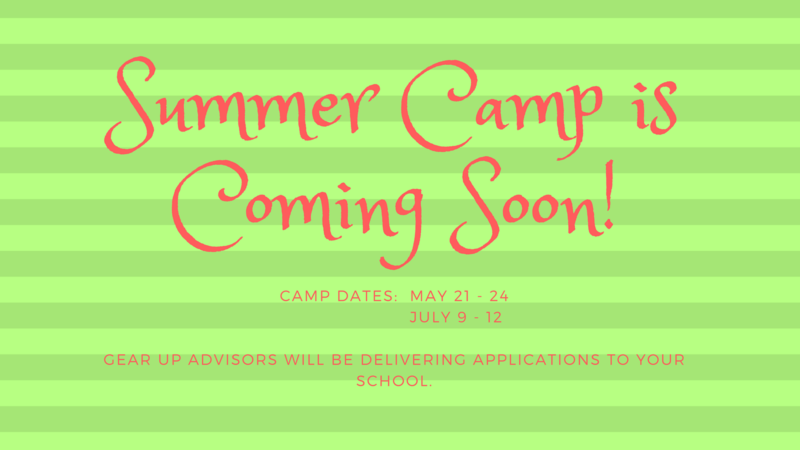 GEAR UP summer residential camps will soon begin! At this time we have 118 students from our 10 Partner Schools registered. Our first camp of the summer will begin May 21st with students moving into the residence hall and making new friends! During the day on Tuesday and Wednesday, Paradigm Shift will lead students in energizers, icebreakers, fun games, leadership, stem, and career activities. Evenings will be spent at the pool, gym, or watching movies. We will spend Thursday off campus. Charter buses will be waiting to take you on a field trip! 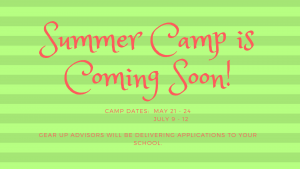 Camp dates are May 21st and July 9th if you are a GEAR UP student and would like to sign up. This summer, spend time at an Oklahoma college or university and discover the fascinating worlds of aeronautics, forensic science, engineering, environmental conservation and much more! 25 Summer Academies are available this year at 17 different college campuses across the state. More than 17,000 Oklahoma students have attended Summer Academies since 1990. A greater percentage of Summer Academy students go to college immediately after high school compared to other students. While in college, Summer Academy students are more academically prepared than their peers, requiring fewer remedial courses than all other students. Summer Academy students earn degrees at a higher rate than other students. All Summer Academies, even residential ones where students live on campus, are FREE. So, what are you waiting for? Check out this year’s Summer Academies in Science, Technology, Engineering and Math! See the full list of 2018 academies and select your grade for fall 2018w. Academies begin in the 8th grade. Advisors will begin delivering applications to our schools the week of March 5th. Space is limited so apply soon! Our address is: P.O. Box 351, Seminole, OK 74818. It’s time to put your imagination to work, because the Doodle 4 Google contest begins just after the New Year. Calling all K-12 students – bring your creativity to life in a doodle of the Google logo, using any medium you choose. The winner’s artwork will be featured on the Google homepage, and several finalists will win some great scholarships. More info to come. 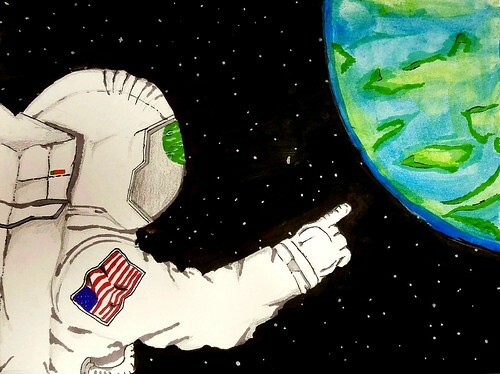 nasa art contest – grades k-12! CALLING ALL ARTISTS, GRADES K–12! Requirements: Contest is open to all children grades K – 12 who are attending public, private, parochial and homeschools in the United States of America. Art can represent the following mediums: drawing, painting, mixed media, and digital creations. A Grand Prize winner will be chosen from all the entries. A 1st place winner will be chosen from each grade level, as well as 2nd place, 3rd place, and honorable mention. Each entry will receive a certificate of participation. The Art Contest Flyer can be downloaded here. This site is where you register for the test and check for testing dates and locations. However, the site has much more to offer. In addition to information about financial aid and college planning, the site includes tools to track your progress on preparation for college and useful tools to explore career options. Online test preparation is available through ACT for a fee, but this site supplies the student with free practice tests and even allows the user to practice with a Question of the Day if they choose. Your ACT score is important not only to college admission, but also can be a key factor in determining your eligibility for academic scholarship assistance at most institutions. Consequently, spending some time to maximize your score is a great investment in your future!